20 years ago (1995), before the use of the artistic name Eun Ho, Park Hyun Soo (Jr.) has lived an energetic and fiery adolescence. First met a 13 years old young girl who has no parents to take care of her, but was still full of life, joyful and without worries, with a pair of bright and crystal clear eyes – Eun Dong (Lee Ja In). When Hyun Soo looks at Eun Dong, he feels his heart pounding like ‘a mouse is jumping out of his chest’. Unfortunately, before both of them can get to know each other better, they separated. Another 10 years pass by, in the current time of 2015, Hyun Soo has become Korea’s elite actor using the stage name of Ji Eun Ho, with fortune and fame, and is a man who is envied by many. But, he is also a man who has a vacant and unfulfilled corner in his heart. He keeps thinking, if Eun Dong is living in Korea, there is no way that she has not heard of me, that she would not come and look for me. Perhaps she is already dead. Perhaps she thinks I am not looking for her. Hence, Hyun Soo who has now become Eun Ho, wants to write an autobiography, which will contain the memories of his short and limited time together with Eun Dong. But Eun Ho has never written a book, and never did try or want to write a book. Hence he has been asking the people around him for assistance, and a ghost-writer Jung Eun (Kim Sa Rang) is found. Eun Ho dictates his audio recollection and passes it on to Jung Eun. Jung Eun organizes Eun Ho’s recordings and begins to write his autobiography. 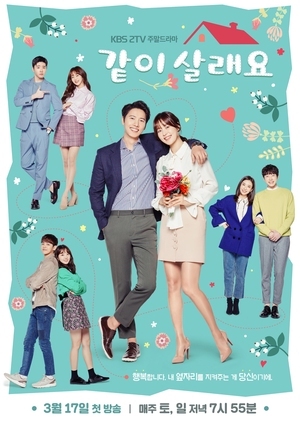 Through Eun Ho’s recordings, Jung Eun gets to hear the love story of Hyun Soo and Eun Dong, and feels as if she is listening to her own story, writing her own story.